The “Tiny House” trend has swept the nation. And as housing costs continue to skyrocket in many large cities, more and more people have opted for living in small, minimalist structures. 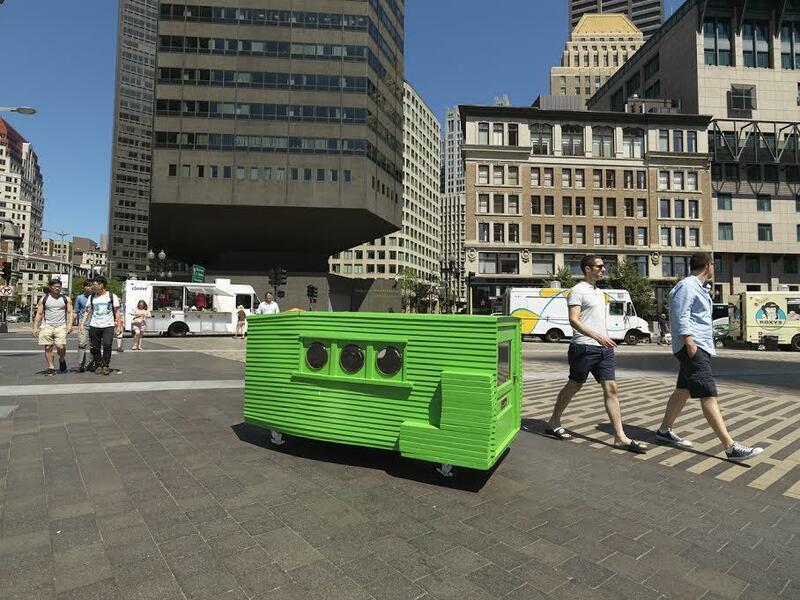 But one Boston artist is taking the miniature housing boom to a new level. The house, which looks like a dog crate on steroids, is available for $55 per night. It is an experimental art project created by South End sculptor Jeff Smith. He said the multi-faceted project took him a year to complete, and is a social commentary on the country’s burgeoning fascination with Tiny Houses. The micro-home has no heat or air conditioning. There’s no Internet connection, dryer, or laundry machine, and certainly it lacks cable TV access. Renters will also need to be selective, and maybe secretive, about where they place the structure. Because it’s on wheels, and acts as a mobile home, it could be subject to various local regulations. But for all that Smith’s art project lacks, the small home does have a few favorable features. There are six porthole windows made with repurposed pie plates; a white front door with a mail slot; and it’s made from all recycled wood. It even boasts a sink that uses water from a bottle, and then deposits the used water into outdoor flower boxes. 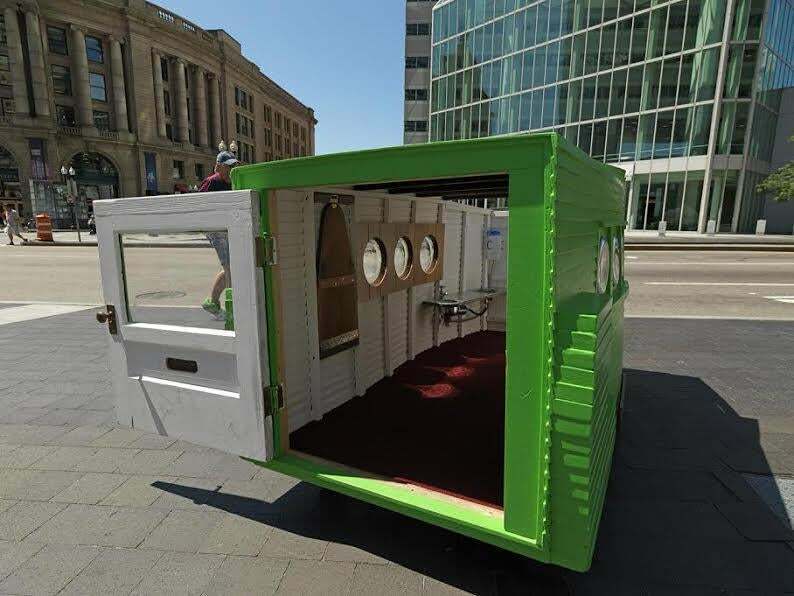 It has a skylight, space for a laptop, a propane-powered stove top, and enough room to allow for one person to lie down, or a few to sit up comfortably, on the carpeted floor. Smith said he was curious to see how far he could push the project after he finished furnishing the house, so he put it on Airbnb as an experiment. He believes that someone may bite, and try to rent the little house. “This house is very small, but super convenient,” according to a listing on Airbnb.